First Impressions: The Ace 15.1 from adidas. Viewed by many as the boot that replaced the extremely loved Predator. I think that is giving off a vibe that this is going to be a direct replacement to the Pred. The Ace is its own boot and is a great new cleat that many are missing out on. The first pictures of the Ace surfaced over the summer and honestly, I was not a huge fan of the look. It looked heavy, strange, and disappointing. But after awhile, I decided to give these a shot after reviewing the X. Once I opened that adidas box to take a peek at was inside, I knew this boot was a winner. The Look: This cleat has been given a ton of different colorways in its short lifespan and I can’t say that I dislike any of them. I have the Ace in the launch colorway my possession and it looks better in person than online. No matter what colors the adidas team decides to splash on the Ace next, it will look stunning. If I had to choose a pair to wear right now, I would grab the Eskolaite pack colorway. Talk about shiny new boots. The Touch:. Let’s start with the upper shall we? The brand new 3 layered, 3D design upper is perfect for the player who enjoys controlling the ball with the same feel from one side of the foot to the other. Adidas are calling these upper their new control web upper. I reviewed the Magista Opus last summer and I started comparing the uppers in my hand and on feet. You will get a cushioned feel while also being closer to the ball than you think you will. You get the best of both worlds while striking with that “pingy” sensation as well as feeling cushioned enough where you wont feel the sting as much. The NSG (Non-Stop grip) dots that are found on the outer layer of the upper, help in adding a bit of extra grip when it is rainy or just a wet surface. I found myself preferring the Ace upper to the Opus’ because of the NSG and the more padded sensation I felt while testing. A feature that I really like in cleats is the lacing system pushed to the outside of the foot to give a larger striking area. As a striker, I love having a large zone to pass and strike the ball any way that I need without going through the laces. A smaller feature that I have actually liked and wish more boots included, is the tongue also features the NSG on it to keep the grippy elements all over the foot where you will control the ball. This is not something that you will necessarily notice but I like the concept from adidas. Moving back to the Heel, you’ll notice a thick heel counter that not only helps keep you locked in the boot when the laces are pulled tight but also gives more protection from tackles. The soleplate has had everyone talking ever since the pictures showed a crazy new look. The FG/AG stud pattern is called the Ground Control system. I tested these on FG as well as AG surfaces for you all and this feels prefect on both. When I wore the Ace on FG surfaces it felt great on real grass as well as AG by showing zero wear and tear marks on the artificial surfaces. If you are a player who plays on both FG and AG on a regular basis, this might by the boot for you so that you don’t have to buy two different cleats. The Ace will not weigh you down while playing which is a concern of a lot of potential Ace buyers. The boot weighs about 9 ounces so it will not be extremely light but is a good weight for a control boot. I tested these about 2-3 times a day for 3 weeks and can not find a single durability issue. The comfort has not changed from the first time I put these on. I really tried hard to find something I did not liked about the Ace and I can only say that it was stiff right out of the box but once you break in the cleat, it softens up and because nice and soft. I can say as of right now, I would pick these out of the X or Ace. The Feel: The Ace is rather stiff when you first pull them onto your feet so at first I was a bit skeptical as to how they would perform. After a few sessions, I noticed how quickly the upper softened up and really felt closer to my foot. It is not going to feel paper thin or feel like a speed boot but is much like a Predator in that is not to thick and not to thin. Comfort issues were non-existent for me as the Ace is wide enough for most foot types. If you have overly wide feet then I would suggest looking at the leather option, as it will offer more stretch. Bang For Your Buck: The regular Ace 15.1 comes in at $220, just like the X and Messi cleats from adidas. If you are looking at the Primeknit version then you will have to pay a higher price since it is a special release ($275). With the top Nike boots retailing at $275 and the other top end Nike cleats retailing at $200, I think these are well priced. If adidas were to release these under the $200 mark, I think everyone would purchase the Ace or X over a Nike cleat. If you catch these on sale, like they are right now over at SoccerPro.com for only $154.99, I would highly recommend these for any player. Who’s Wearing it? 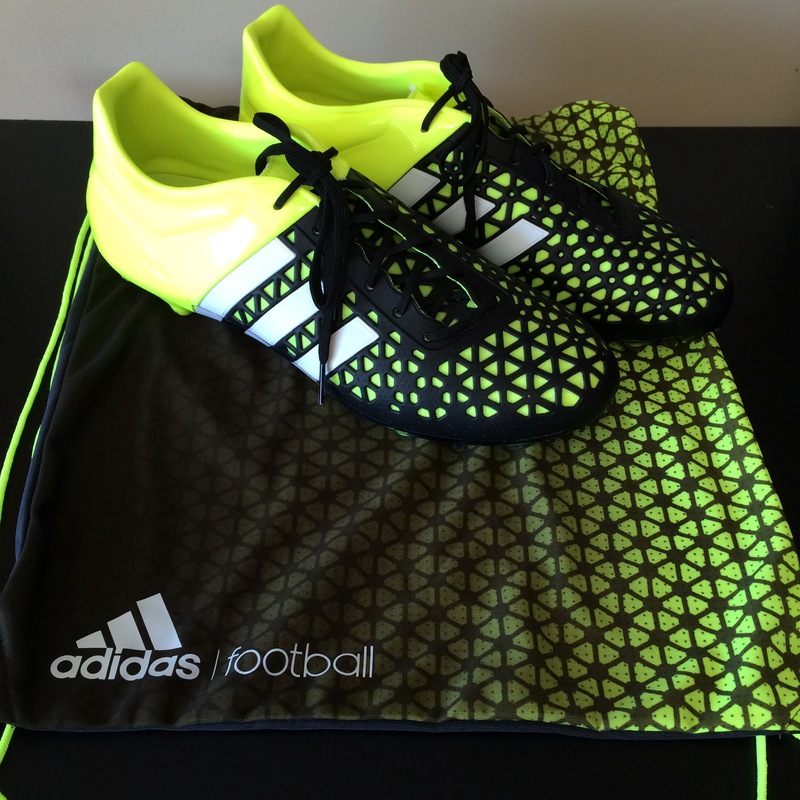 : Let me just start by saying, a lot of players are wearing the Ace 15.1 on the field. Mesut Özil, Ivan Rakitic, and Manuel Neaur are among the many pros wearing colorways of the Ace. The Verdict: The Ace is without a doubt one of the best cleats available on the market today. With the technology implemented as well as the comfort you are able to receive even straight out of the box, I can’t help but give the Ace 15.1 a high rating. The Ace did feel stiff when I first slipped them on but after a few hours of breaking them in, they softened up and felt fantastic on feet. If you have been a fan of the Predator line up and especially found the Instinct to be a favorite, then check out the Ace. In my opinion it is a nice cleat that deserves recognition. It’s the prefect cleat to control the match with no matter where you play on field. This cleat runs True to Size. I received and tested these boots for SoccerPro.com, so if you are searching for a pair, check out out their selection of Ace cleats.